Uzbek Kungrad(?) 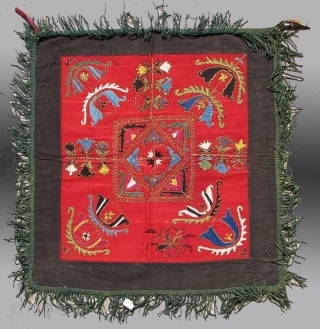 Embroidery, Central Asia, circa 1870, 2' 4" x 2' 4"
A very unusual example of Uzbek embroidery that may be loosely called “Lakai”. 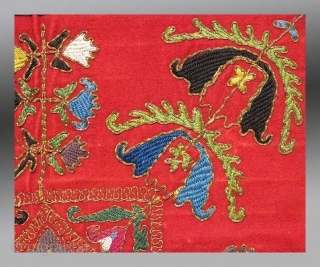 The design is very different, seemingly reflecting aspects of design that are not unusually associated with the Lakai but possibly more familiar within the context of Ottoman embroidery from Anatolia. The asymmetry of design is an attractive feature contributing to a subtle dynamic quality, the asymmetry seen in both the use of color and design. 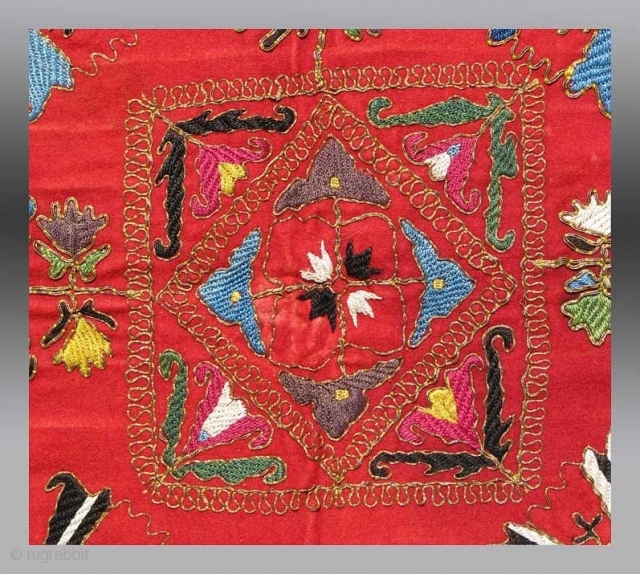 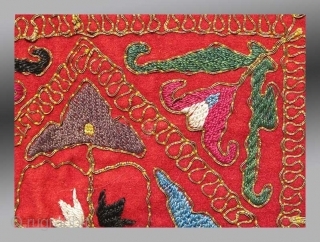 The condition is excellent and all the colors of the silk embroidery are derived from natural dyes.